Adam Gibson, Professor of Medical Physics and a member of the UCLDH team, has been working with Tabitha Tuckett in UCL Special Collections to see if they can find any interesting features associated with the printed diagrams in the margins of the first printed edition of Euclid’s Elements. The printer, a man called Erhardt Ratdolt, had to work out a method for printing diagrams. 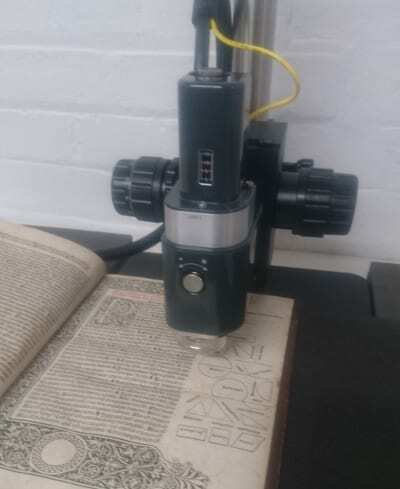 how modern imaging methods might be able to cast light on Ratdolt’s 500 year old printing innovation.